JMS has been named as one of the top ten powered access hire specialists in the UK by trade magazine Cranes and Access. It is the first time that JMS has been featured within the top 10 access hire companies in the annual league table. 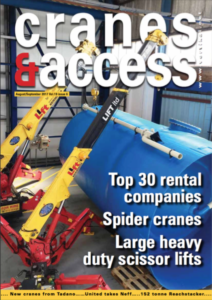 Cranes and Access listed JMS at number 9 in a table of the UK’s top 30 powered access companies. It also featured strongly in other league table performance categories. The Top 30 Powered Access league table assesses companies based on the number and type of machines in their fleets. JMS Managing Director Mark Jackson says: “Our position in the Cranes and Access league tables reflects our continued growth, and our desire to be able to fully-serve our customers across key access hire categories. The top 30 access league table is based around different machines types. 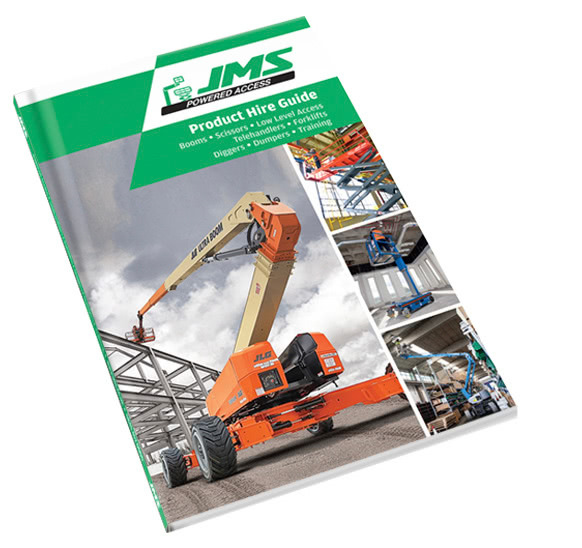 JMS is featured strongly in other league tables for the largest scissor lifts, the largest spider lifts, the top spider lift fleets, and the largest boom lifts. Rental companies are investing across all sectors, expanding their fleets. The survey by Cranes and Access also shows league tables for the Top 30 Crane Hirers and Top 30 Telehandlers companies. For the first time this year, there is a league table for leading players in the spider lift market. JMS is responding to a growing demand for reliable access equipment. Customers range from construction, retail, to media production industries. Projects require safe, reliable and efficient machines that help customers to work safely at height.